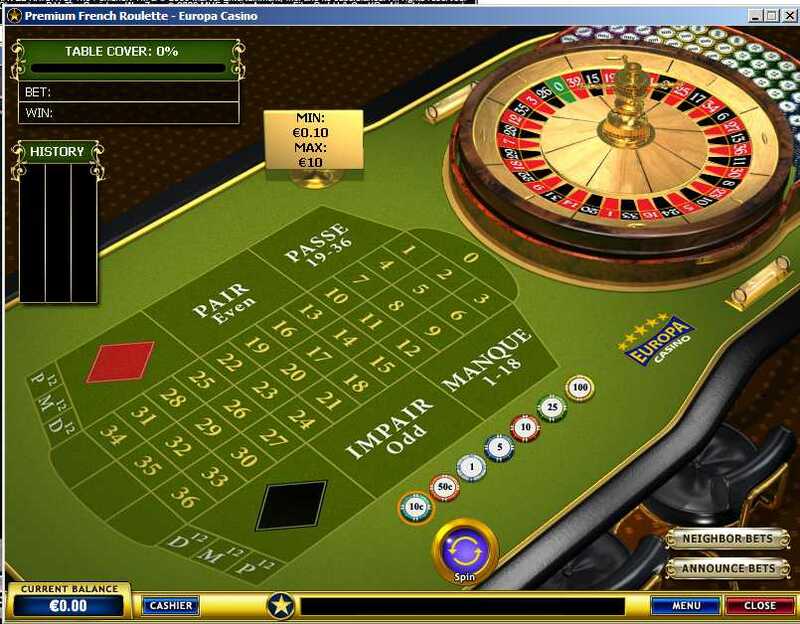 Online Casino Games: Playtech table games: Premium online roulete games review at PlaytechCasinos.co.uk Premium European, French and American roulette games. While the game of roulette has been around for a long time (since the late 1700s in fact), playing it never grows old. And while the basic premise of the game hasn't changed much since - except for the dropping of the zero from the French version, or the addition of the zero in the American version, depending on which way you look at it – new online versions are always being released. "What could possibly be different this time 'round? ", you're likely thinking. Well, if you give the Premium Roulette games now being offered at Titan Casino, Bet365 Casino, Casino Tropez, BetFair Casino and Europa Casino, a whirl you'll see for yourself. This new series of online roulette games includes three separate variations of the classic casino game - Premium European Roulette Multiplayer, Premium French Roulette Multiplayer and Premium American Roulette. What all three games have in common is elegant design, realistic graphics, smooth animation, professional dealer voices and an easy-to-use interface. What's particularly special about the multiplayer versions is the fact that you can add a social element to your online gaming as you sit at a virtual table with up to three other players, chat, interact and bet against them, in real time, for the perfect replication of the excitement of roulette in a land-based casino. The new Playtech roulette games are a welcome addition to the online gaming space and can be enjoyed at leading online casinos Titan Casino, Bet365 Casino Casino Tropez, BetFair Casino and Europa Casino.